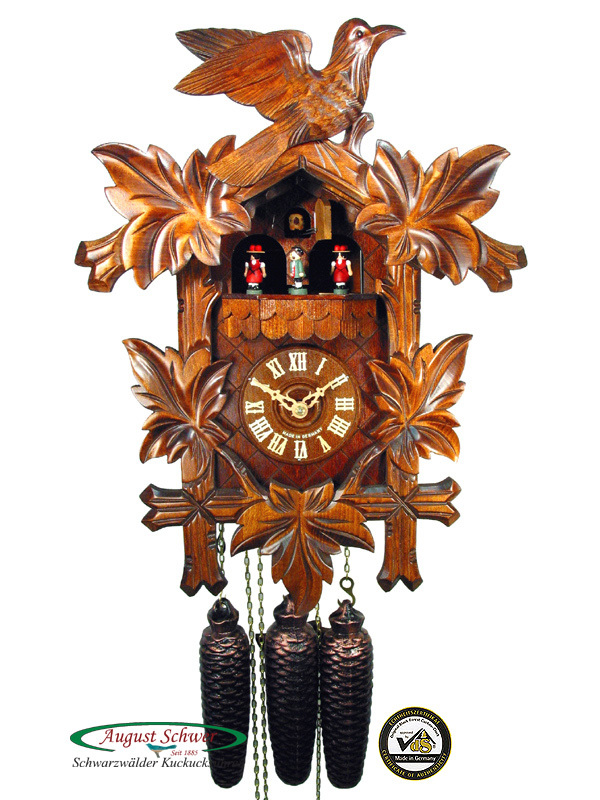 August Schwer Black Forest Cuckoo Clocks. 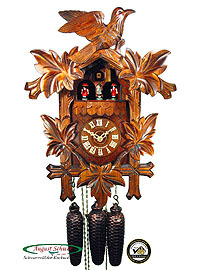 This is a classic cuckoo clock with the traditional functions. Leaf and bird carving with turning dancing figurines and music function. 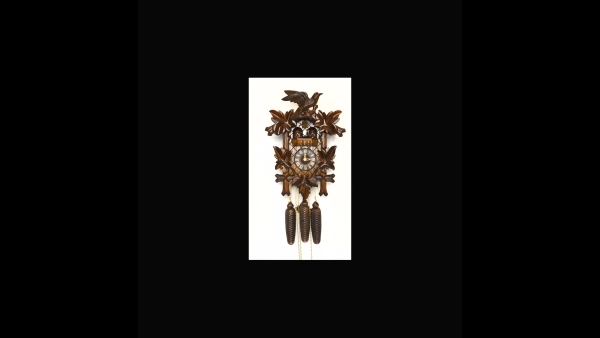 Wooden dial, hands, cuckoo (August Schwer exclusive cuckoo), wooden pendulum. The clock has a music function and dancing figurines. The music works are Swiss made, it plays two tunes alternately. Edelweiss and The Happy Wanderer.